Rediff.com » Business » Will Tatas and Ambanis succeed where Birla failed? Will Tatas and Ambanis succeed where Birla failed? As India’s online population crosses 450 million, e-commerce ventures are trying to grab a pie of online sales estimated to hit $48 billion by 2020. Aditya Birla Group’s plans to shut down Abof.com, second e-tail venture in less than a year, may not deter other bricks-and-mortar retailers that have ventured online with unique offerings. In the past two years, India’s top-three business houses, Tatas, Birlas and Ambanis, ventured into e-tail largely to transform their bricks-and-mortar retail business under omni-channel - presence across mobile apps, retail and online stores. Birla took a step further, getting into pure-play e-tail through Abof.com, in addition to its omni-channel platform Trendin.com, which aimed to leverage the group’s presence in fashion business across Pantaloons and Madura Garments. Unfortunately, both failed to generate enough cash flow. “We don’t foresee any return on investments in the near future,” says Santrupt Misra, director, group human resource, Aditya Birla Group. “It is still not mature enough,” he says, citing the continued practice of discounting by e-tailers such as Amazon and Flipkart to grab customers that made Abof.com unsustainable much before it was expected to break even. Two years ago, Kumar Mangalam Birla, chairman of Aditya Birla Group, had given Abof.com four to six years to break even, which promised to be “high on the style quotient” in order to fight deep discount model of other retailers. But Tatas, who launched their omni-channel e-tail venture last year, are far more confident of their plans. “TataCLiQ.com has seen steady progress since launch, and has gained wide acceptability of discerning customers,” says Ashutosh Pandey, chief executive officer, TataCLiQ, on the first anniversary of the venture in May, when it achieved offerings of 800 curated brands through 1,000 stores. Nearly 50 per cent of TataCLiQ.com’s orders were either shipped straight out of these stores or collected by customers from these stores. The Tata group, with its presence in retail business across Croma, Titan, Tanishq, Westside and Star Bazaar, was in a unique position to build this network and bring differentiated offerings to customers. “We hope to continue to grow 100 per cent year-on-year over the next few years and become a destination for the finest brands across categories,” he says, as the venture planned to add 400 more brands on the platform in its second year. TataCLiQ.com did not respond to fresh queries sent on its plans against the backdrop of Abof.com shutting down. But the fight may not be an easy one for Tatas, with Flipkart building a war chest of $4 billion fresh funds raised in less than a year to take on Amazon. Besides, Chinese major Alibaba’s entry has made the fight tougher. As India’s online population crosses 450 million, e-commerce ventures are trying to grab a pie of online sales estimated to hit $48 billion by 2020. “The success of e-tail depends more on unique offering than capital to provide discounting,” says Arvind Singhal, chairman and managing director, Technopak. “Reliance Retail is still better placed to fight others, with its unique strength of telecom service Jio,” he says. In the past two years, Reliance Retail ventured into online retail with its omni-commerce platform Reliancefreshdirect.com, which got rebranded as Reliancesmart.in. Last year, it introduced its online fashion offering with Ajio.com. As telecom is one of the key ingredients for the business, Reliance is trying to bundle not only merchandise but a whole lot of other products and services, ranging from finance and entertainment to education. With Jio, having around 125 million wireless subscribers, its internet infrastructure has become the technology backbone for its e-tail venture that is ready to fight with Flipkart, Amazon and Alibaba. Jio also sells its own mobile handsets. 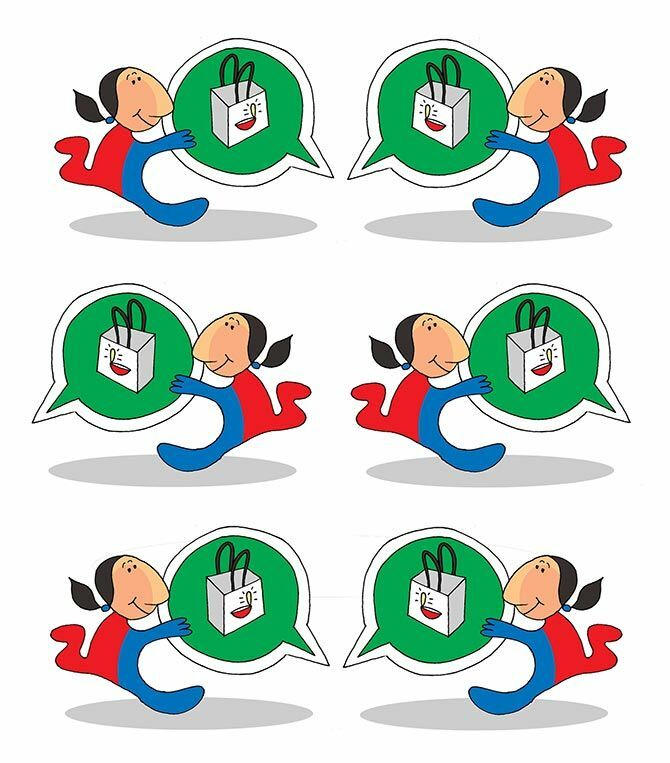 With pre-loaded shopping applications, it can acquire customers at lesser cost than others. Moreover, its payments bank licence is also expected to create a robust payment system for its marketplace. “If the prize you’re going after in the distant future is worth it, then maybe so is the investment,” says Devangshu Dutta, chief executive at Third Eyesight, a brand and retail consulting firm talking about the fight that bricks-and-mortar retailers have to make for grabbing online customers. “Aditya Birla has other businesses in the consumer space and those are capital-hungry as well,” says Dutta, indicating Birla’s exit to be more of setting priorities than inability of bricks-and-mortar players getting into e-tail. E-commerce vs kirana: And the winner is. . .
Who is Trai batting for in the MTC issue?